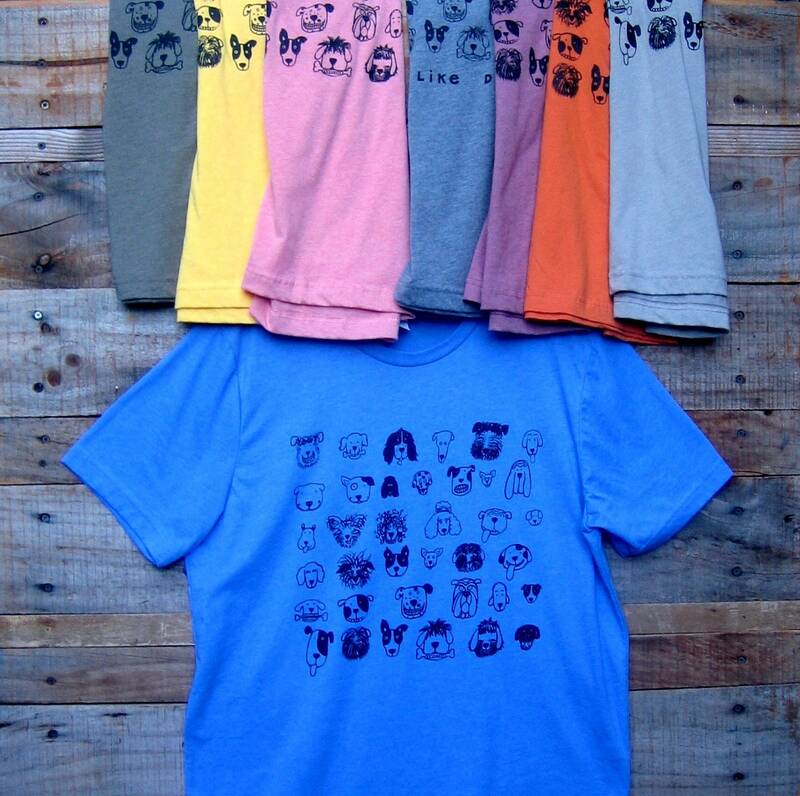 Dog faces, lovable and funny, printed on unisex adult T Shirts in a variety of colors from original illustration. Just like I Like Dogs tee but without the words. To order color and size you prefer, check photos for color and sizes below. If a size is not listed in a particular color, it is not available. Tees may be tri blend, poly/cotton or 100% cotton. To check colors and sizes for ordering, see main photo (on wood) and start at upper top left with 1, end at main blue tee with 8. 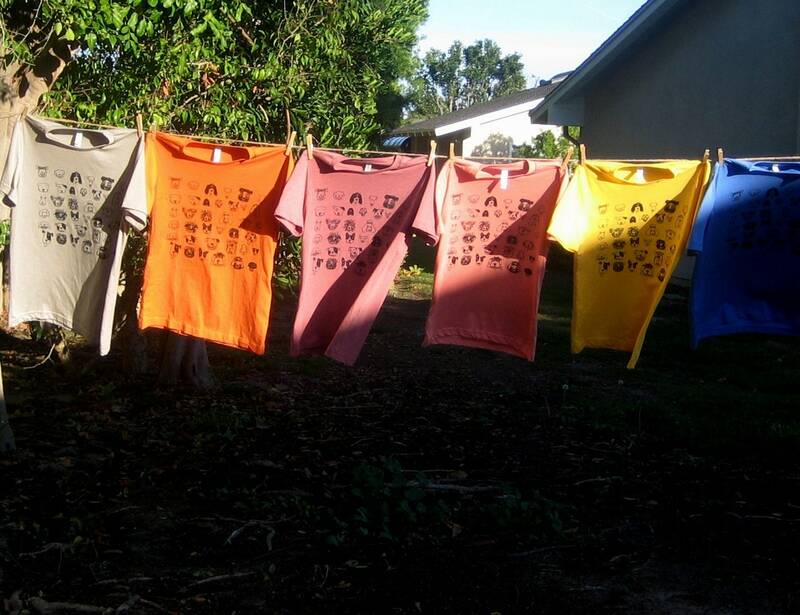 Two tee colors are missing from this photo but they are in the clothes line. 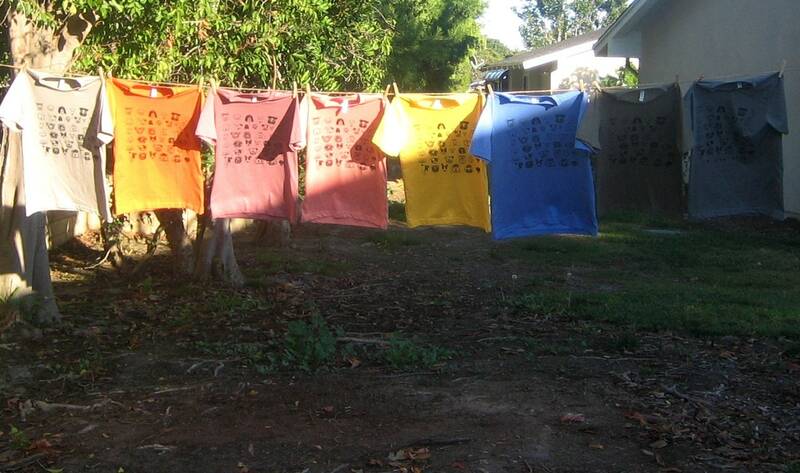 One is the far left color which is mushroom and the far right color which is grey tri blend.